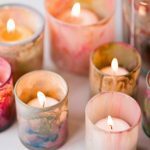 Candles in your home are useful and add to decorations. 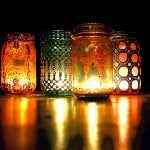 Nevertheless, they are of immense use during power shortages and can be also used as a temporary light. 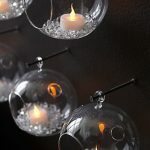 Having candles placed directly involves the danger of accidents, thus using candle holders are the right solution. 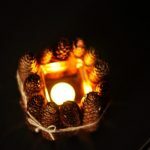 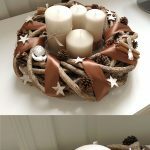 Here are beautiful DIY candle holder ideas that that offers a warm glow and features a pretty protective holder as a vessel. 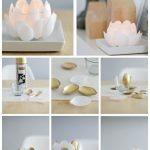 Scalloped Block Candle Holders: These are simple office supplies that transform into stunning DIYs. 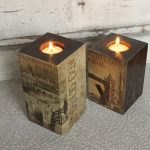 These are thing wood blocks and using the dot stickers on a scalloped edge, you can make it a candle holder. 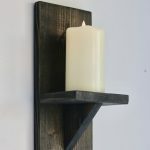 Fix the wood block using a power drill. 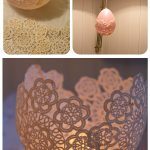 Cut Paper Candle Holders: This is a simple way to upgrade candle holders in plain glass. 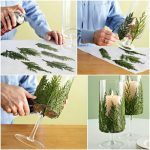 You may trim a computer paper piece to size, cut “U” shapes and fasten it using double stick tape. 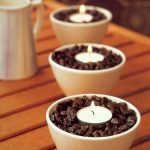 This is one of the simplest DIY candle holder ideas. 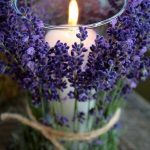 Mason jar Lanterns: These are dreamy, especially when it features a sprig of dried seasonal or lavender pine. 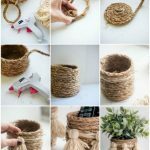 Make use of a hearty leather belt acting as a strap that can be taken around wherever you go. 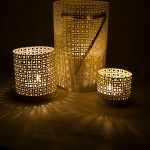 Lace Cement Votives: The combination of soft lace and hard concrete offers the required and enough look. 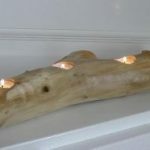 These are heavy duty candle holders that look perfect on any low windowsill or even on a wooden dining table. 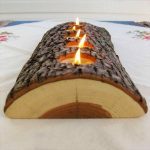 Wooden Dipped Candle Holders: Do you have a pair of wooden eggs in your store and you are not able to recollect why you bought them. 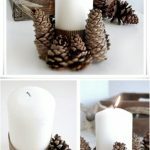 Never mind, you can now turn them into candle holders and save the best time. 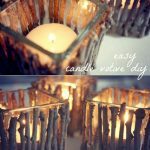 These diy candle holder ideas are sure to be breathtaking. 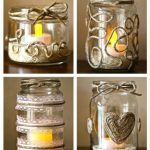 For the entire above mentioned diy candle holder ideas, you can add glitter and enjoy the super sparkles the moment the candle is lit.